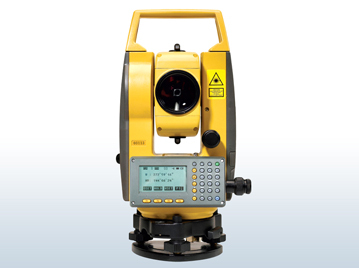 The HORIZON STORY We are a Singapore-Australian joint venture company founded in Singapore in 1979 and our business is the manufacture and distribution of the HORIZON brand of survey instruments and accessories. We are one of the first companies in the industry to commence manufacturing in China, while employing a strict QC system in Singapore to oversee the process. This ensures that the products that reach our clients are consistent and reliable in quality. To cope with our growing global sales network, we set up offices in Europe and USA in the 1990s to help facilitate the distribution of our products in a more efficient and organized manner to these regions. In addition, we have also over time established several distributorships in countries in Asia, Southeast Asia, the Asia-Pacific region, the Middle East, and South America. Today, we are a company and brand with more than 30 years of manufacturing and global sales experience. We aim to evolve in a steadfast and realistic manner, to keep up with the demands of the market, but not sacrificing quality for haste of development. We also believe in building long-term business relations with each of our distributor, and we are sincere and serious in maintaining the core brand values of “Quality, Consistency and Competitiveness” during our business endeavors. Our quality control process is governed by the ISO9001:2008 system. Our dedication to branding efforts is evident with us with conferred with the Singapore Prestige Brand Award in 2007. Everything that we are today, and everything that we are evolving into, are results of a firm dedication and belief about who we are and what we can do. Our ultimate mission as a brand owner, is to allow every users of our products, to “Measure Right” with HORIZON products.